Israel says it has struck almost all of Iran’s military infrastructure inside Syria in its biggest assault since the start of the civil war there. 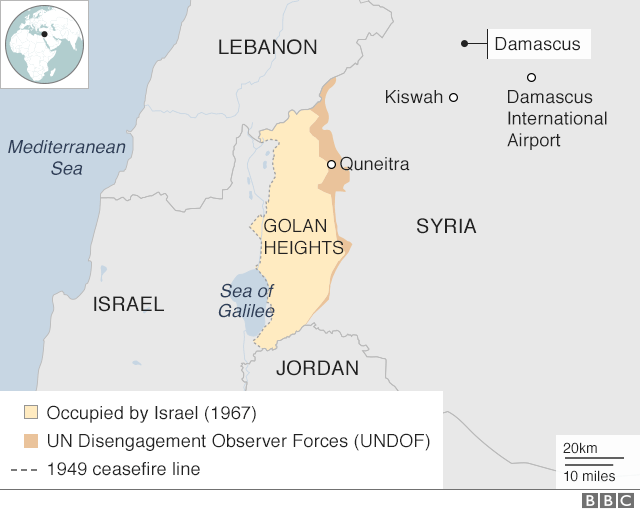 Syria’s military said the Israeli “aggression” had killed three people. Russia, Germany and France called on both countries to exercise restraint, but the US said Iran bore “full responsibility for the consequences of its reckless actions” and that Israel had a right to defend itself. 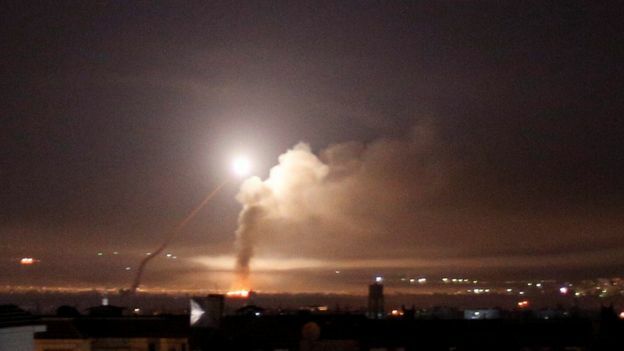 The Israel Defence Forces (IDF) said that early on Thursday morning 20 rockets had been launched at its forward posts there by the Quds Force, the overseas operations arm of Iran’s Islamic Revolution Guards Corps. A senior source in an Iranian-led military alliance that supports Syria’s government also told AFP news agency that Israeli forces had fired first. The IDF said it had also targeted Syrian military air defence systems after they fired at the fighter jets despite an Israeli “warning”. Israeli Defence Minister Avigdor Lieberman later told a conference in the town of Herzliya that the IDF had “hit almost all of the Iranian infrastructure in Syria”. However, Syria’s military declared it had “thwarted a new Israeli act of aggression” and that its air defences “destroyed a large part” of the missile barrage. In the short-term the Iranians are seeking “pay back” for an Israeli strike against one of their bases in Syria a little over a month ago. 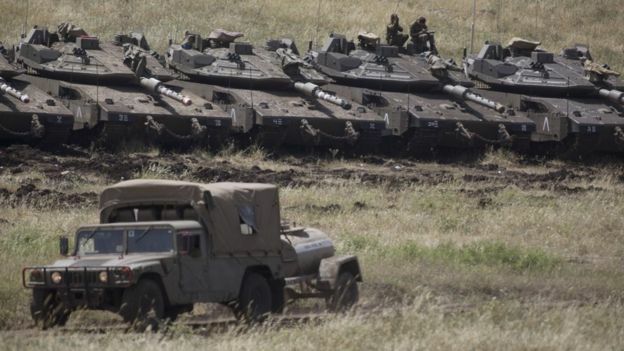 On Wednesday night, according to the Israeli military, Iran’s Quds Force launched rockets against Israeli positions in the Golan Heights. But the scale of the attack was limited – a single multiple-barrel rocket launcher appears to have been used, which the Israelis say they subsequently destroyed. They then apparently hit every Iranian facility they know of in Syria to send a powerful message to Tehran. Why is Israel so worried about Iran’s activities in Syria? Israel’s military had been anticipating an attack by Iranian forces after reportedly carrying out a number of strikes on their facilities in Syria in recent months. They included one on an airbase in April that killed seven Iranian troops. Israeli officials have repeatedly warned that they are determined to stop what they consider Iranian “military entrenchment” in the country. Mr Netanyahu’s lobbying against the 2015 nuclear deal between Iran and six world powers, which US President Donald Trump abandoned on Tuesday, has raised tensions further with Tehran. 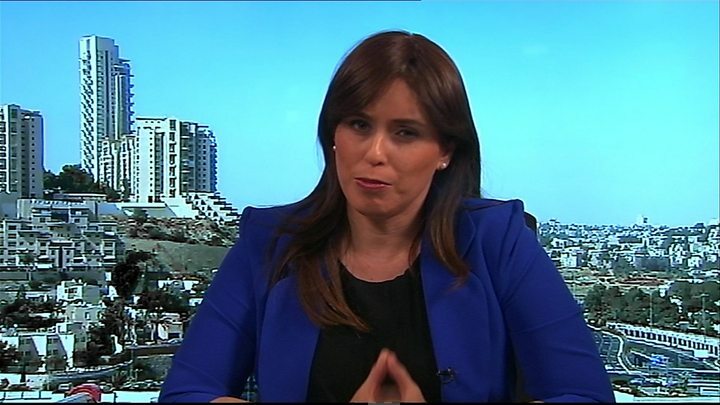 Mr Lieberman stressed that while Israel had “no interest in escalation”, it had to “be prepared for any scenario”. “We are facing a new reality where Iran is attacking Israel directly and trying to harm Israel’s sovereignty and territories,” he added.